Life doesn't deal in happy endings, and most of the time, nor does football. The body gives out; the mind wearies; the game to which you have given so much delights in kicking you in the guts. Perhaps Arsene Wenger should have known all along that this was how it would all turn out, but I doubt it. Right to the very last, even as his side slid to defeat, even as his last shot at glory evaporated into the chilly Madrid night, he will have believed. This was always his gift, and ultimately it was his curse too. As the metronomic Atletico Madrid ticked down his final minutes of European football, Wenger remained in his dugout, only occasionally venturing out onto the touchline. 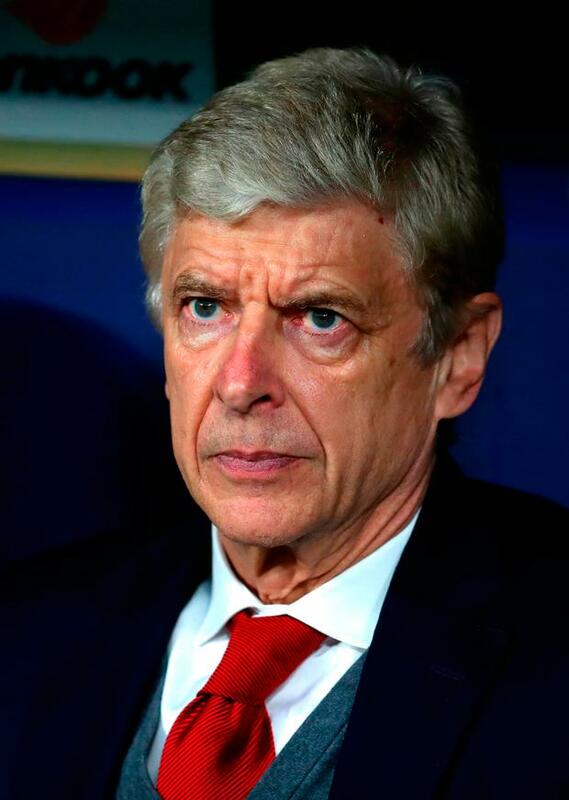 And for all the ignominies he has suffered in his 22 years at Arsenal, never had he looked quite this forlorn, quite this bereft, quite this powerless. After all, Wenger was always the planner, the dreamer, the architect: the man with one eye on tomorrow. However bad things got, there was always next season. But now, there is no next season. There is no tomorrow. Europa League or no Europa League, Wenger's legacy was secured some time ago. The moment he announced his departure, he became a surrogate, a caretaker, the bearer of somebody else's torch. And it would be easy to describe this game as late-Wenger Arsenal in microcosm: the injury, the squandered opportunities, the solid front giving way all of a sudden, like a trap door. Too easy, perhaps. For all its occasional slapstick, even the inferior Wenger teams still won far more than they lost. There was no faulting the application here, nor the physicality, nor the starting line-up, nor the tactics. The collective meltdown for Diego Costa's goal aside, the defending was competent, verging at times on the heroic. Wenger's substitutions all seemed to make sense. But somewhere along the way, at some point on the route from Highbury to the Emirates via the Nou Camp and the Allianz Arena, Arsenal stopped being able to win games like this. Whether it was the quality, the decision-making, the composure, the nous, or simply the ability to find that extra gear when most required, this is a European giant that has somehow developed the mentality of a mid-table club, a child in an adult's body, £206.3million of footballing ballast. It will take more than a new coach to unpick all of that. But what was this, facing Arsenal at the other end of the pitch? A team with five academy graduates in the starting XI, plus another on the bench. A team with a defined style of play, a team that feels more like a family, which may be why so many of its former players end up returning. A global club with a local feel, a new stadium, a loud and united support, an identity and a purpose. This was what Wenger was trying to build all along, and in those halcyon early years achieved so successfully. Arsenal may not have aspired to play in the Atletico way, but at their best they were bold and brilliant, lucid and coherent, arrogant and absolutely horrific to play against. It feels almost shocking now to recall that in his early years at the club, Wenger was constantly having to field questions about his team's dirty tactics and disciplinary record. If Wenger softened in his old age, then perhaps Arsenal softened a little with him. For Arsenal's fans, a mixture of emotions. A little sadness, a little disappointment, but most of all just that large and familiar numbness: a cold pint of nothing, with a nothing chaser. This is why, in the end, many of them will applaud Wenger off the stage with relief. For all his qualities - so, so many qualities - he has also drawn too many of their bad memories. Too many nights like these begin to wear you down after a while. The final whistle blew, and Wenger became the last person in the stadium to accept his fate. As numb Arsenal players limply applauded numb Arsenal fans, Wenger shook hands and disappeared down the tunnel: an era over, a darkness descending, a long fade to black.